Kavanaugh accuser Julie Swetnick: "I don't think he belongs on the Supreme Court"
Julie Swetnick, who has accused current Supreme Court nominee Brett Kavanaugh and his friend, Mark Judge, of excessive drinking and inappropriate treatment of women in the 1980s, has spoken publicly for the first time. 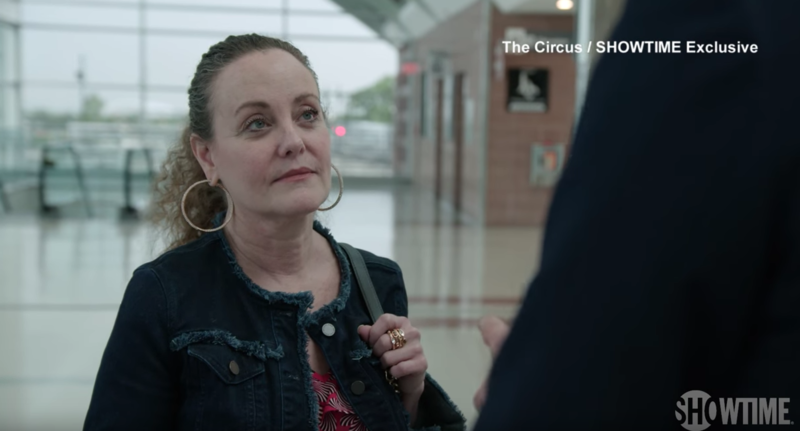 Swetnick told Showtime's "The Circus" that she stepped forward so close to the hearing because it's been on her mind ever since the incidents, slamming the judge as unfit for the highest court in the land. "Brett Kavanaugh is going for a seat where he's going to have that seat on the Supreme Court for the rest of his life," she said. "If he's going to have that seat legitimately, all of these things should be investigated because from what I experienced firsthand, I don't think he belongs on the Supreme Court and I just want the facts to come out and I want it to be just and I want the American people to have those facts and judge for themselves," she added. While Swetnick does not accuse Kavanaugh of assaulting her, she does allege that he and Judge were present at a party when she was gang raped by a series of boys after her drink was spiked. Swetnick also says that Kavanaugh and Judge were among the boys who, at other parties in the early 1980s, spiked drinks in order to disorient girls and take advantage of them sexually. Kavanaugh, like the two other cases against him, has denied the latest accusation against him as being "ridiculous and from the Twilight Zone. I don't know who this is and this never happened." Swetnick is being represented by Attorney Michael Avenatti, the same lawyer for adult film star Stormy Daniels who alleged to have an affair with President Trump. Avenatti referred to Swetnick as "courageous, brave and honest." Editor's Note: Showtime Networks is part of CBS Corporation, the parent company of CBS News.